Home › What's New? › Forget about Shark Week! 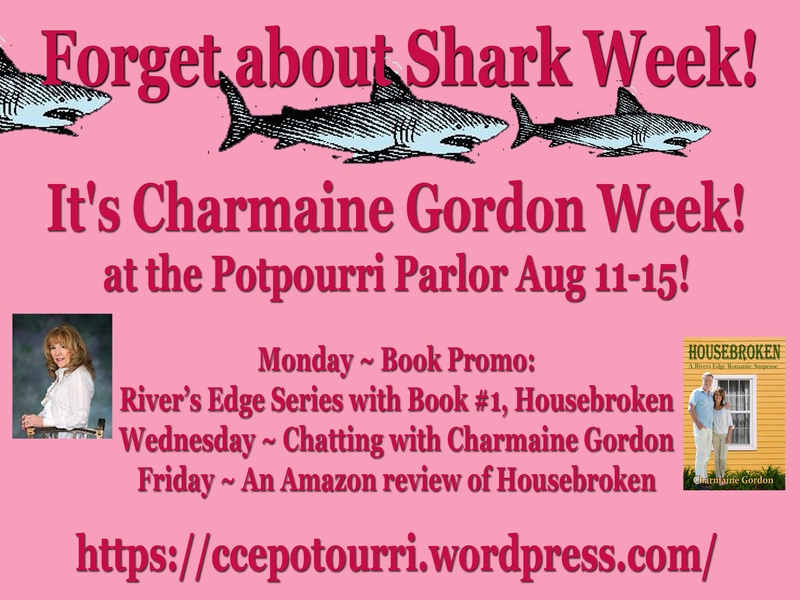 It is Charmaine Gordon Week! I dear readers, writers, and friends. Join us at Chelle’s impressive Potpourri Parlor. My latest release Housebroken is not about a dog. . .yet Empty nest syndrome has invaded Sally and Steve Atwood’s home and they must , once again, find out how to live alone. Just the two of them in a new HEA after thirty five years of marriage. Share your story for a gift from this author.